Announcing the #PAW5EnrichedLifeChallenge for Your Dog! Hi Guys and Happy Monday! For those of you who don’t know my little sister has finally arrived! River is about 9 months old and believed to be a Black Mouth Cur Mix. If you would like to read more of River’s story here is the LINK. Today, I’m exciting to talk about a rewarding challenge that’s taking place this week. Dedicated to providing enrichment for dogs through thoughtful product design and education, PAW5™ is launching their #PAW5EnrichedLifeChallenge. 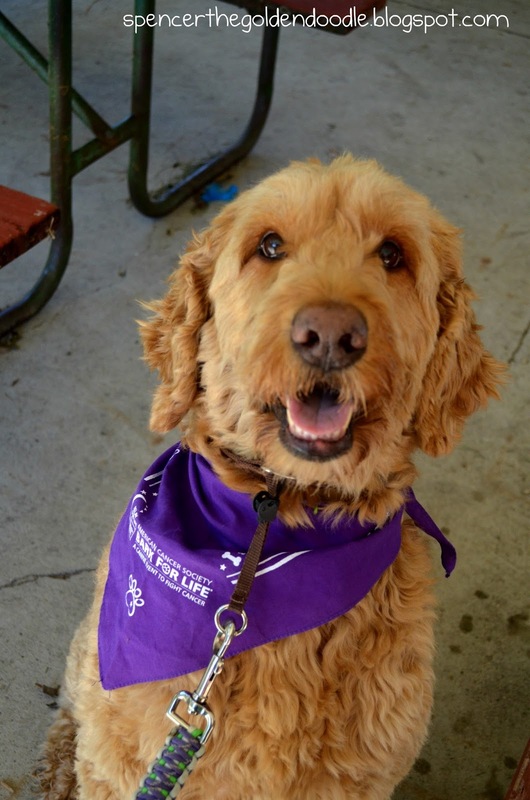 This one-of-a-kind program challenges pet parents to provide five days of ideal enrichment for their dogs to further engage their pup’s mind and body in healthy and rewarding activities that will keep them mentally sharp and physically fit. When I first heard about this Challenge it was perfect timing. With the arrival of River last week, keeping a 9 month old busy is a challenge. I was reading the other day and found out that some places consider a 7 year old dog a senior. I was shocked, I mean, I still feel like a spunky pup. However, I am noticing some aches and pains with the resent weather change. Even my humans asked if I’m okay because I have been moaning some when I lay down. When PL360 contacted us, asking if I would like to review their Hip & Joint supplements, I subconsciously jumped all over the opportunity. Since I fall under the “senior” and “large breed” category, I’m reviewing the Advanced Hip & Joint Support supplement. 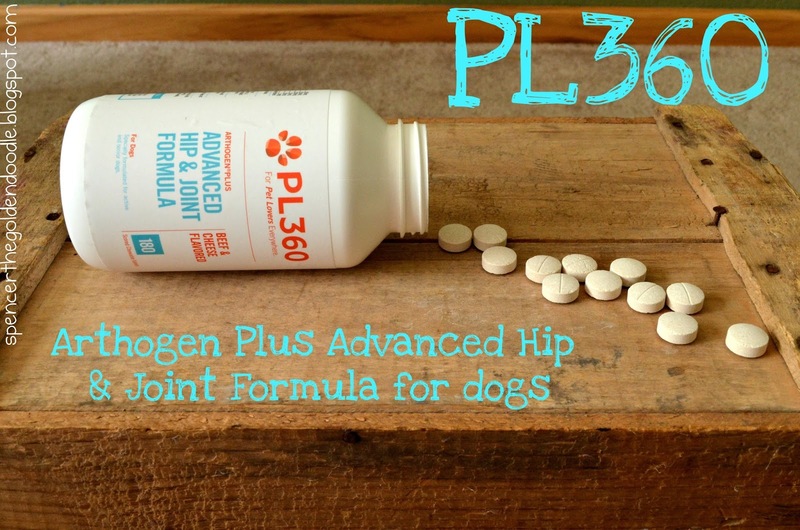 Arthogen Plus Advanced Hip & Joint Formula for dogs is specially formulated with glucosamine and chondroitin, plus MSM and HA to support healthy hips and joints. These tablets are beef and cheese flavored and are scored chewable to help ensure easy and accurate dosage. According to the bottle, for the first month you start off taking 2 pills in the morning and 1 pill in the evening. Now that it has been over a month, I just take 2 pills in the morning. Even though these tablets are flavored, I’m not good at taking pills. So, my humans crush them and add them to my food, which I take with no problems. 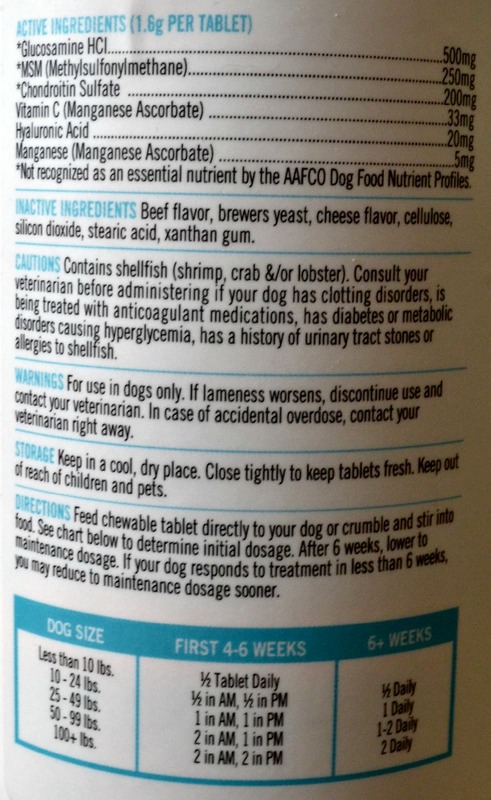 Since being on this supplement, for just over a month, both my humans and I have noticed a difference already. The main difference we all notice, I’m not moaning anymore when I lay down. I would recommend this product to any K9 out there who is needing a supplement or who wants to be proactive with their aging dog. You can learn more about PL360 and their other products on these sites: Website, Facebook, Twitter, Pinterest, and Instagram. 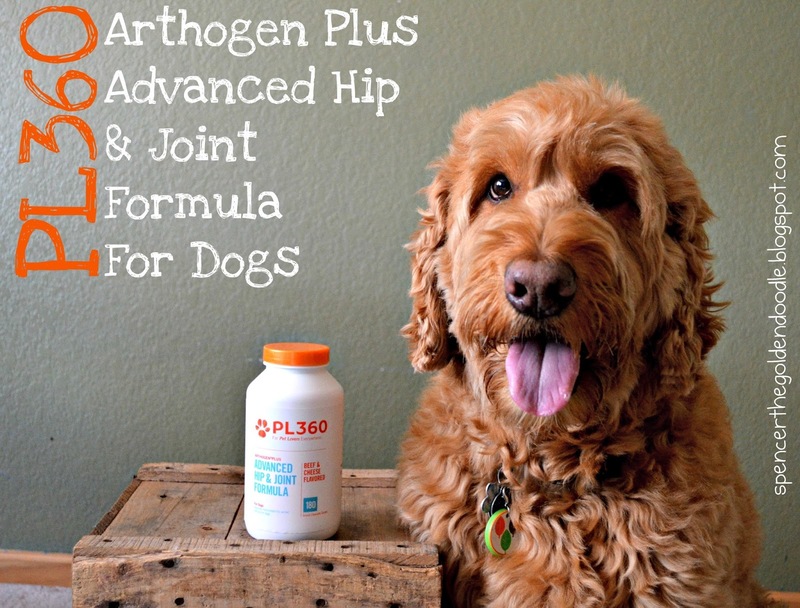 *Spencer the Goldendoodle received one bottle of PL360 Arthogen Plus Advanced Hip and Joint Formula for this review. All opinions in this review are the honest opinions of Spencer the Goldendoode. 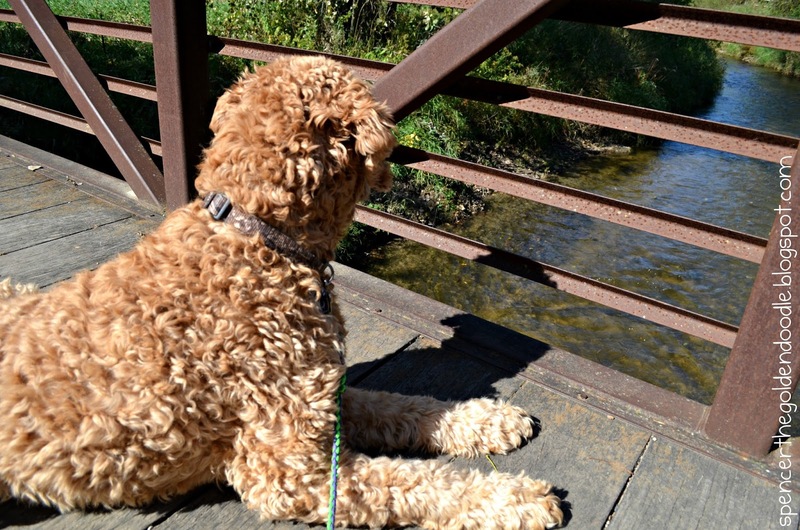 Spencer the Goldendoodle received no additional benefits for talking about this product. PL360 in not responsible for the contents of this post. My favorite thing about going for walks, don’t know where I will end up or what I will see along the way. 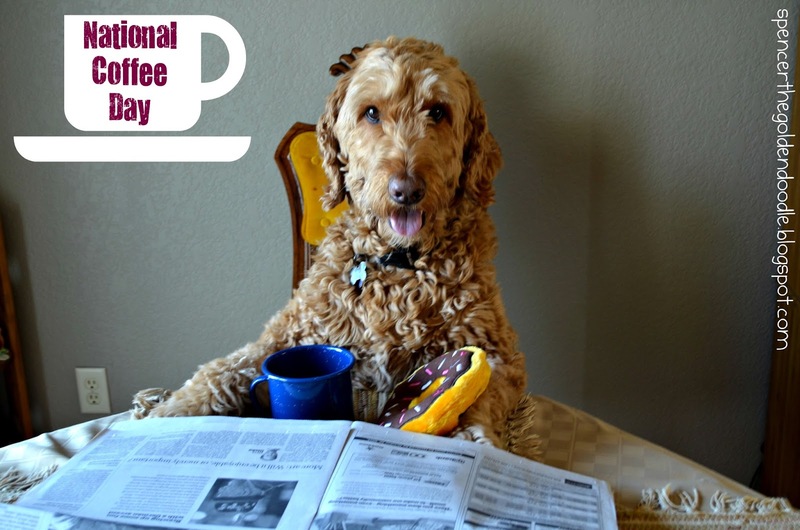 Today is National Coffee Day! According to Fortune, 59% of Americans drink a daily cup of coffee daily. However, coffee/caffeine is toxic for dogs and cats. The best thing you can do if you dog or cat consumes anything from the list above is to immediately induce vomiting and immediately call your veterinarian. If you have any question feel free to call you veterinarian or the Pet Poison Helpline at 855-764-7661. The are available 24 hours a day, 7 days a week. 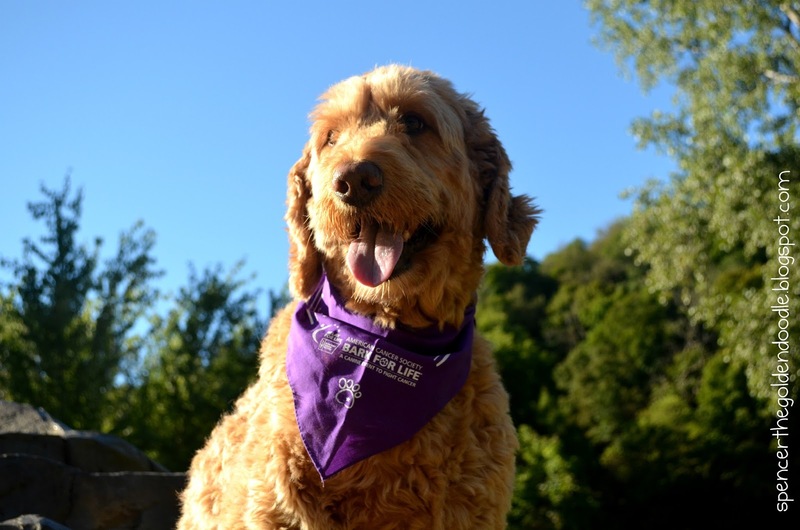 *We, here, at Spencer the Goldendoodle are not professionals. We are not a veterinarian or dog trainers. If you have a medical emergency or questions regarding your pet’s health, please seek veterinary attention. 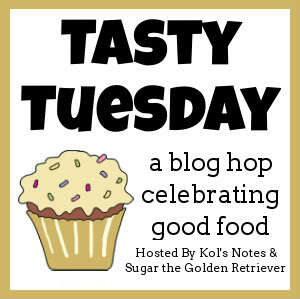 Today I’m joining the Tasty Tuesday Blog Hop hosted by Kol’s Notes and Sugar the Golden Retriever. 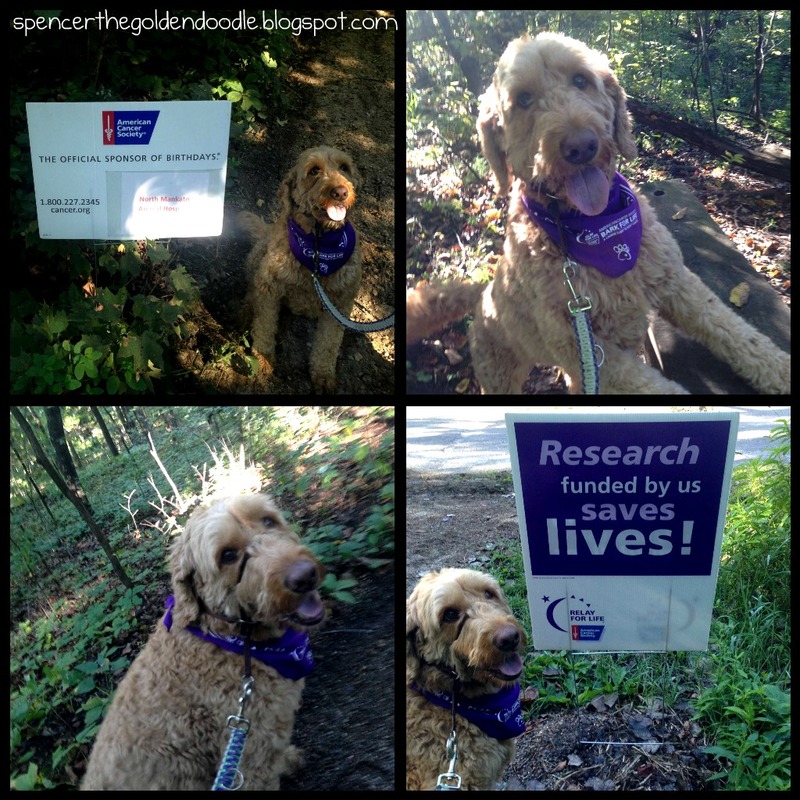 This past weekend I participated in the American Cancer Society’s Bark For Life here is Southern Minnesota. This was the first time I have ever heard of this event and was eager to attend. So, Saturday morning my mom, aunt, and myself all packed up in our car a drove to the location. The weather was perfect for a morning hike at one of the local parks. We arrived and first thing we did was registered. 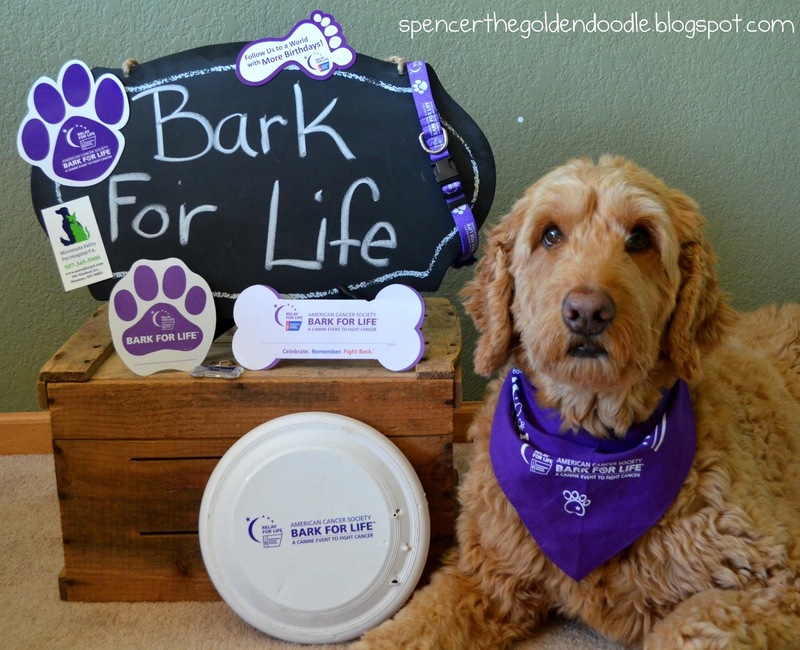 For donating, I received this purple Bark For Life bandana. After introducing ourselves I got the pleasure to meet some royalty. One of the special guest at the event was Miss Mankato herself. At first I was bashful to ask for a picture, but she was more then happy to get her picture with me. She was such a nice, sweet gal. The walk started off going up a steep hill, which then lead into the woods. Throughout the walk I noticed horse tracks along with active squirrels. If I wasn’t on a mission I would have chased a couple of them. Before I knew it we were crossing the finish line with the other K9 and their owners. 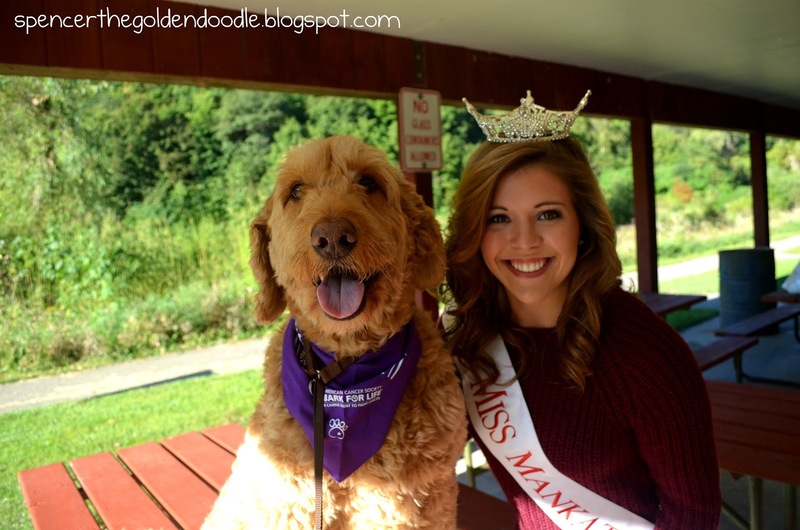 It was fun to see dog and humans coming together for such a great cause! We headed under the shelter and mingled with others. 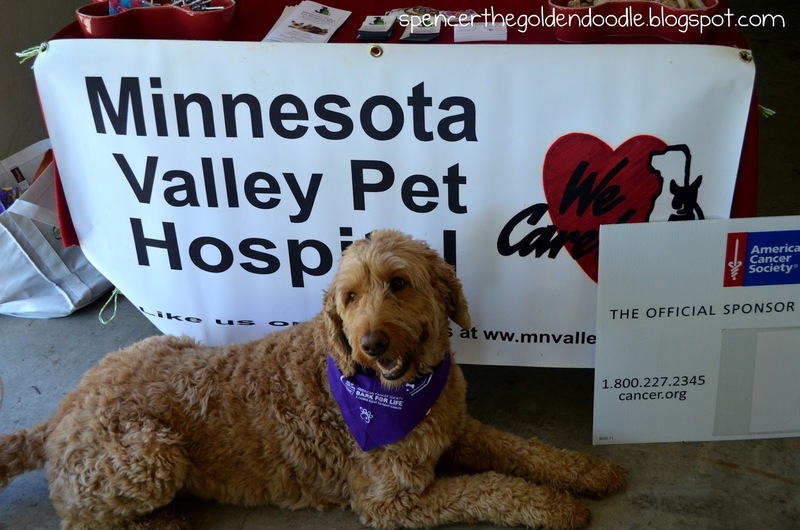 We got talking with two ladies from the Minnesota Valley Pet Hospital. They were very nice and answered some questions my mom had. Once the event was over, we headed home to check out the cool swag bag I got. Who doesn’t love fun stuff! I had so much fun I can’t wait to attend next year! If you ever have the opportunity to attend a Bark For Life event I highly recommend it. For now I hope you all have a wonderful weekend. 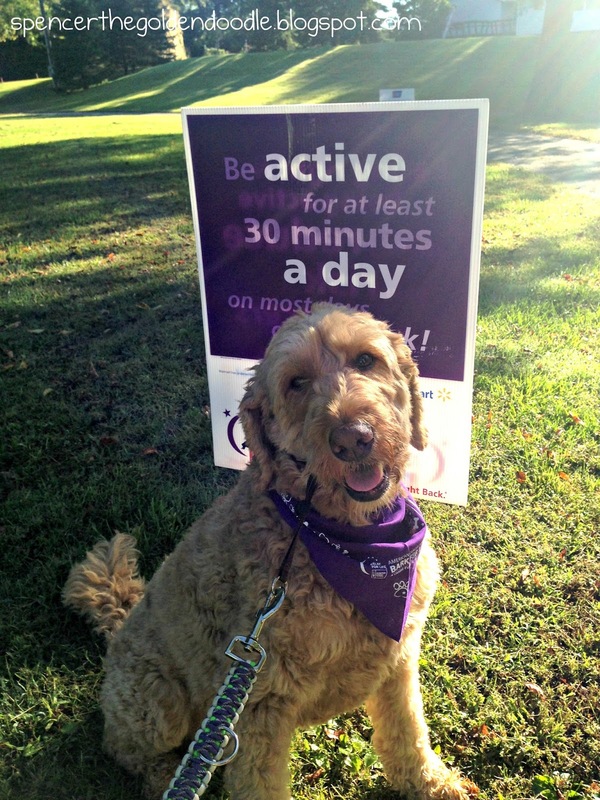 Have you ever done a fundraising walk with your dog? Here’s the scenario: You are laying on your bed, chewing on your favorite bone and all of a sudden you her a “ping.” You quickly get up, run on over and you hear your owner freaking out, telling you to “LEAVE IT!” You ask yourself “normally they want me to clean up after them.” What is different this time? Come to find out you human dropped one of their pills on the floor. Medication ingested is the number one toxin consumed by dogs across the nation. It is also the number one reason pet owners contact the Animal Poison Control Center. These medications are not just prescription pills that are being ingested but over-the-counter and veterinarian medications as well. I came up with this infographic to help spread awareness and educate pet owners. Feel free to share! I’m joining the Wordless Wednesday Blog Hop hosted by BlogPaws. As most of you know, I came from the land of 10,000 lakes. That’s right, Minnesota. We are known for being Minnesota Nice, but there are some in Minnesota that are being down right evil to dogs. Please click on the photo below for the full story. Your back yard is suppose to be a safe place where your dog is suppose to wear off they winter energy. So hearing that they are putting deadly items in the owns back yards is so scary. 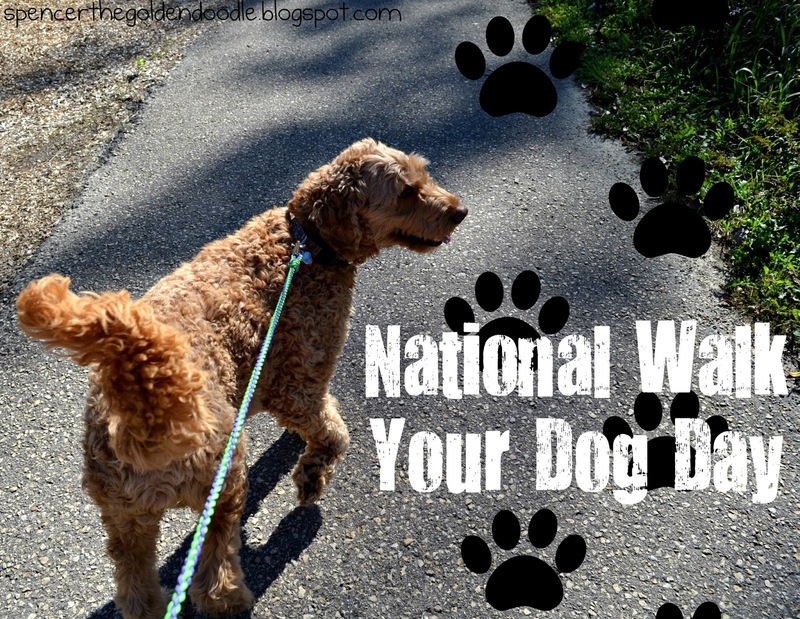 With the weather getting nice and you go out and about more, please keep an eye on your dog. You just never know what is out there.